Our Lodge focus this month is on Desert & Delta Safaris’ Camp Moremi, a luxury safari camp located in Botswana’s world-renowned Moremi Game Reserve. Camp Moremi is part of the Desert & Delta Safaris collection and officially re-opened recently after completion of a full rebuild. 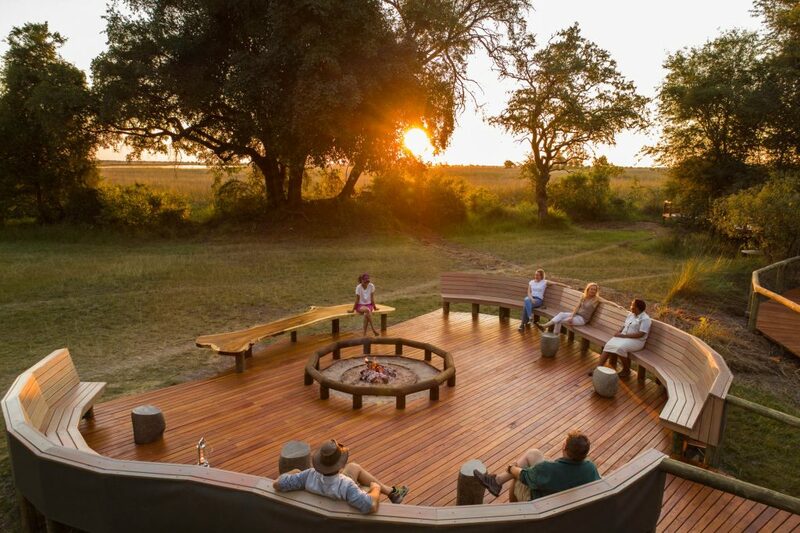 The new Camp Moremi is a spectacular camp made up of extensive public areas raised within the huge ebony trees that have characterised the property for over 35 years. 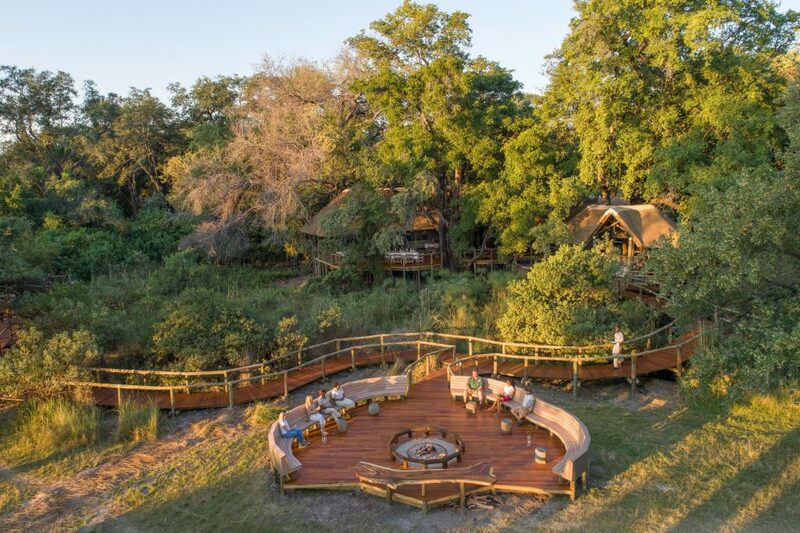 The communal areas at the camp includes a sunken bar, masterfully built around a large termite mound and ebony tree, an expansive lounge area with beautiful brass and soft finishes, leading towards an extended library and private deck. These areas, including the elevated dining area, connects by boardwalk to the fireplace in front of the camp. In addition, an open air boma and secluded swimming pool complement the public area facilities. 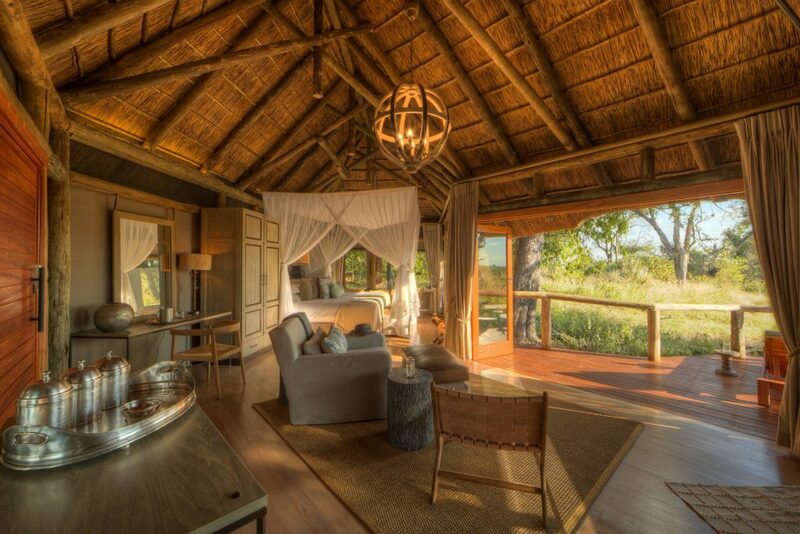 There are 12 expansive, modern styled thatched safari tents, including one family room at the new camp. All the tents boast with expansive spacious bathrooms consisting of double vanities and showers, and private decks offering views over the Moremi Game Reserve. • The afternoon teas at the pool and boma area. • The loo with a view! Overall Glen was really impressed by the camp. He was also treated to amazing wildlife sighting, seeing wild dogs everywhere on the first afternoon. He also spent some time watching an African Darter spearing and devouring a catfish much larger than its head so a great ‘kill’ for the family! 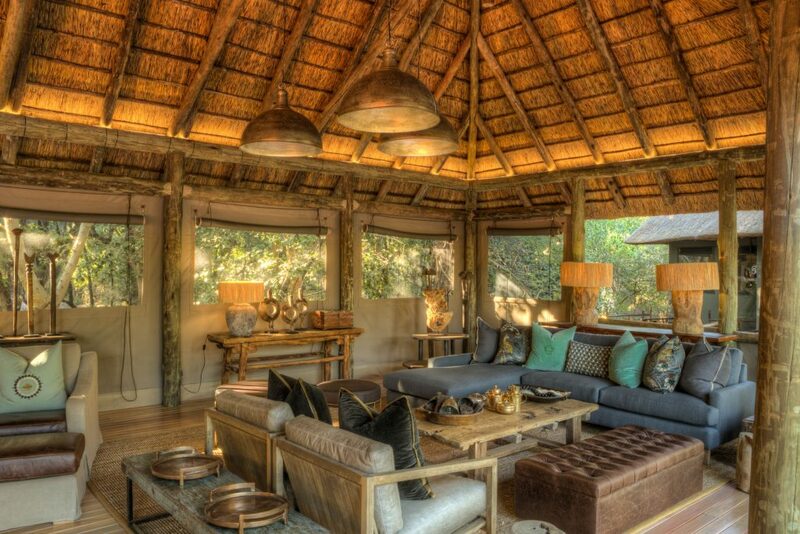 Do you want to experience a luxurious safari at the Camp Moremi? Get in touch with us and let us help you plan your safari.